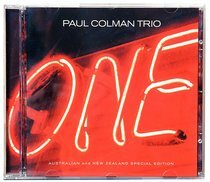 Exclusive to the Australian market - an album of entirely new songs from the Paul Colman Trio. After winning the Dove Award for best new artists, PC3 deliver a collection of perfectly crafted acoustic-based rock songs to deliver a message of reconciliation with God and one another. 8 - Who Do You Say?